Work Health and Safety is vitally important for our staff and our clients - safely is the only way to get a job done. Laser Plumbing Newcastle Central WHS standards are at the leading edge in our industry; it is vital we keep abreast of issues and keep our staff informed, trained and safe. 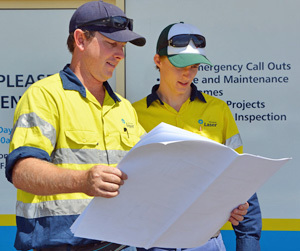 Each job and site is assessed and a specific site management plan is created. Every site, every day, has a site risk assessment completed prior to any work being started. Toolbox meetings are scheduled as required and a regular monthly toolbox/shed meeting is held to address any additional safety issues and to ensure all staff are kept abreast of all projects, timelines and these meetings also offer the opportunity for product and safety training. Laser Plumbing Newcastle Central is a family business, we have a young family of our own and young children attending local schools. We are aware of the importance of being respectful to all sites but are especially diligent on school sites where there are children and increased risks of danger. All our employees are screened and sign a prohibted employment declaration. Laser Plumbing Newcastle Central is a family business, we have a young family of our own and young children attending local schools. We are aware of the importance of being respectful to all sites but are especially diligent on school sites where there are children and increased risks of danger. All our employees are screened and sign a PROHIBITED EMPLOYMENT DECLARATION.